A brand new, and undeniably cute, meme trend known as “rice ball babies” has been sweeping Japanese social media channels recently. 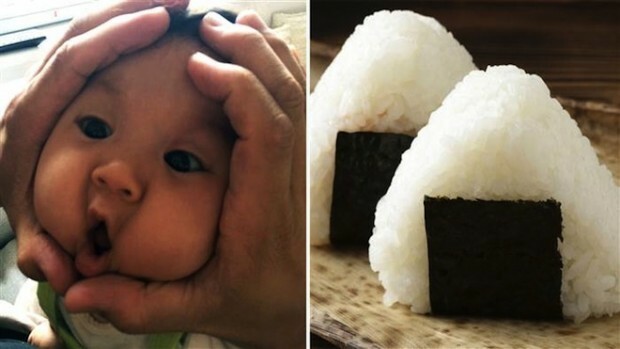 The photos feature parents manipulating and shaping their baby’s faces to mimic the look of onigiri rice balls, a traditional handmade Japanese snack. As should probably be expected, the trend has begun transcending babies. Numerous young adults have begun posting photos of their own faces contorted. Some have even started bringing their pets into things, squishing the faces of their dogs into the triangular shape of the tasty treat. While hand-molded onigiri rice balls don’t have the same cultural resonance in the United States, the trend has been covered by numerous American outlets including Buzzfeed and TODAY. Could this exposure lead to the “rice ball babies” trend taking off on American social media channels? Only time will tell.